Jord Watches approached me to do an unbiased review on their watches. I was so excited for this opportunity because they are such a unique item. Wood isn’t really seen much in the fashion world other than bag handles and winter coat toggles. 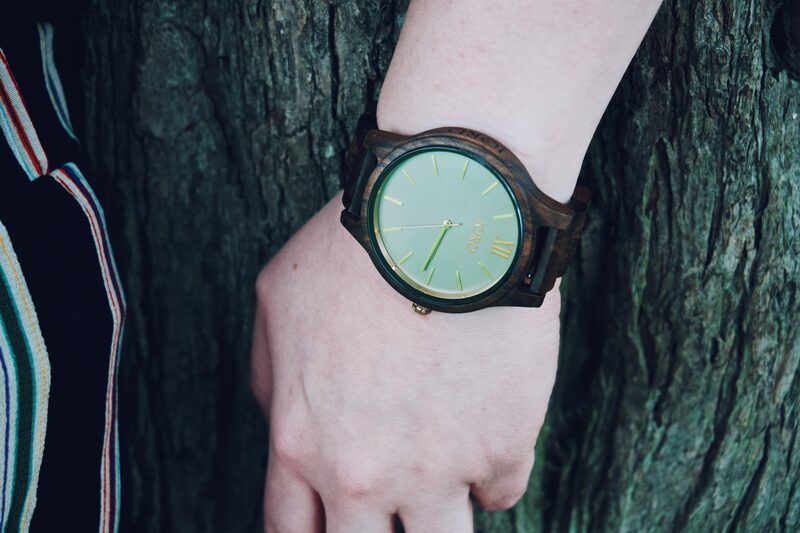 The market is very much into sustainability and eco friendly products, so their watches being wooden is a bonus, especially as they are such beautiful watches. I received a Frankie series watch in dark sandalwood and smoke. When ordering the watch I was given instructions to measure my wrist so the watch would fit perfectly. 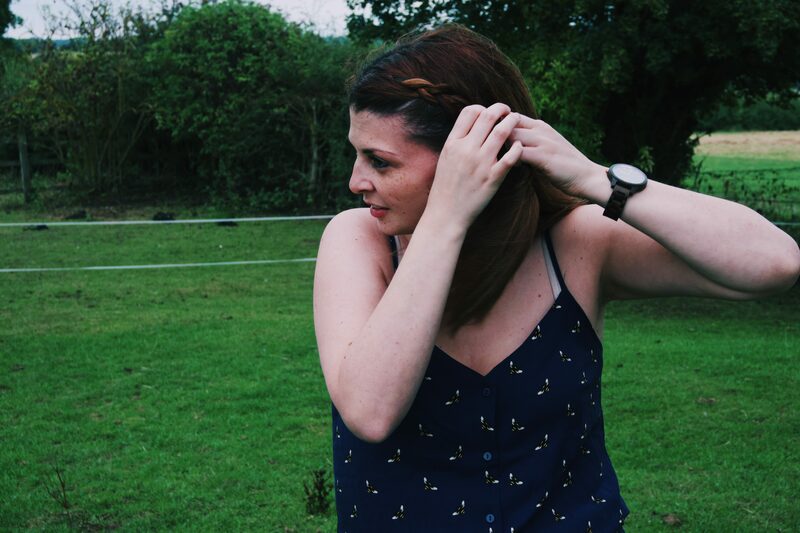 I have quite small wrists so my measurements are small, I was a little worried at first as the faces on the watch are fairly large in size but I needn’t have worried I love it and it looks so good on. I am one to love grey and rose gold if you haven’t notice. The face is so pretty and the colours tie together so well. You wouldn’t expect the face to be like this on a wooden watch, but some how it fits so well with the wood. It also brings the dressy bit out in this watch. I would say wood can be quite masculine but the colours of the rose gold and grey really bring the girlyness out in the watch. It is presented in a lovely wooden box to. 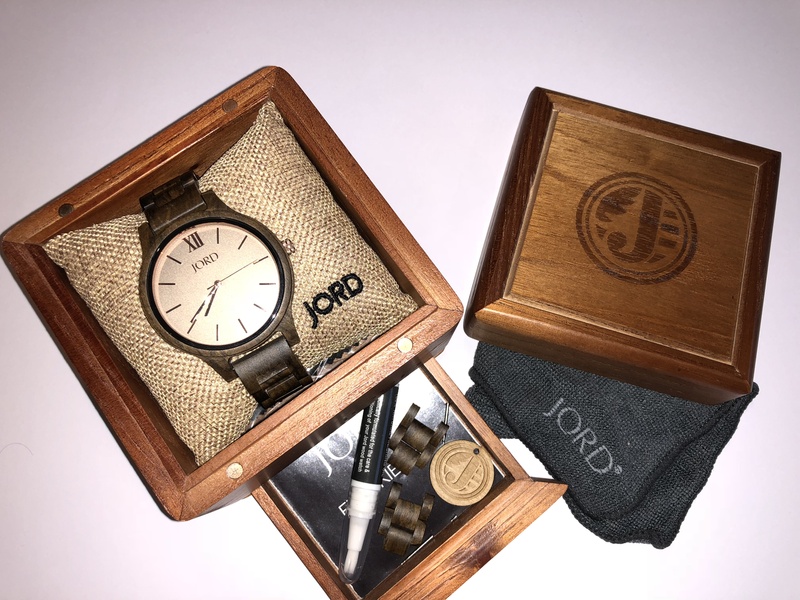 The watch comes with the additional wooden links in the box, which would help if at anytime you needed to add more links, the way this watch fastens together is a way I haven’t seen a watch fasten before but its so easy to put on and comfy to wear. 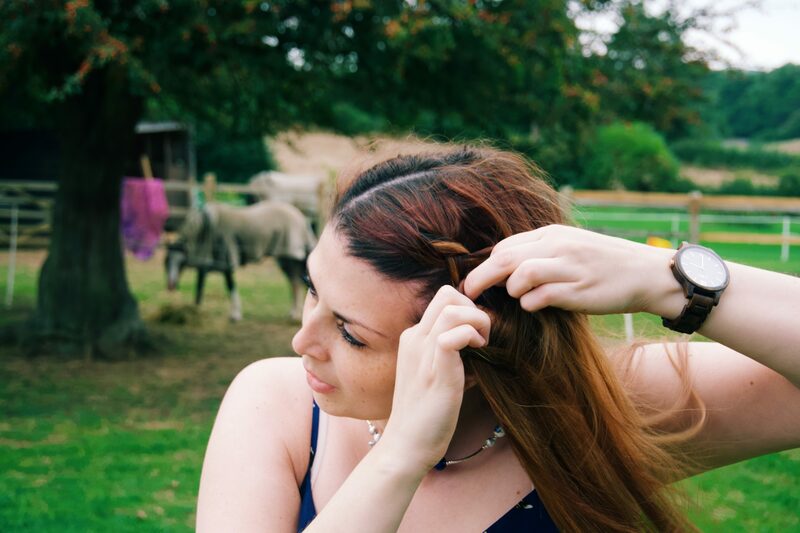 I was surprised how large/ chunky it seems initially but now when I wear it, I can’t even tell I have it on. Normally watches have clasps that separate the straps. On this watch you just push the sides of the clasp and both straps open apart big enough for the watch to be taken off. I wear a lot of blues and earthy tones which really fits well with this watch. You can wear this with anything really but I would say these tones suit the watch well. JORD is a Swedish word meaning earth, soil or land, so highlighting natural elements is a defined priority of the brand. 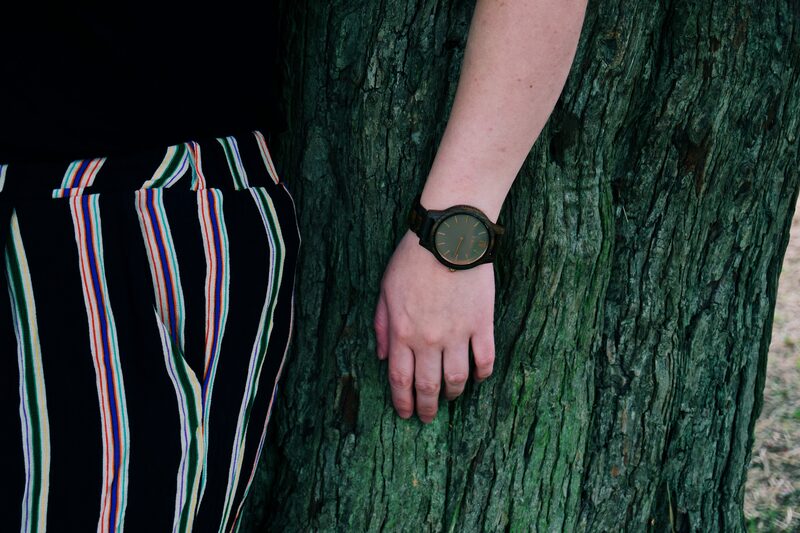 Some of the sustainably-harvested woods used to create the watches include bamboo, maple, sandalwood, blackwood, cherry and teak. The glass is also scratch-proof which really good. Most watches come in a series of wood colors and styles, and there are several models to choose from – all at their own price level. These nature-celebrating watches could easily be considered a luxury item, ranging from $120 to $250. The watch isn’t completely water safe, though you don’t need to worry about getting a splash on it. It’s untreated wood, so it expands when it gets really wet so it needs to be kept dry and make sure to keep it clean. You can keep your watch clean by combining a little olive oil and lemon juice and applying it with a soft cloth or use the natural oil that’s supplied with the watch. I tend to take mine off when going to the bathroom or washing my hands but on occasions I have forgotten a little splash is ok, but I prefer to remove it just to be safe. 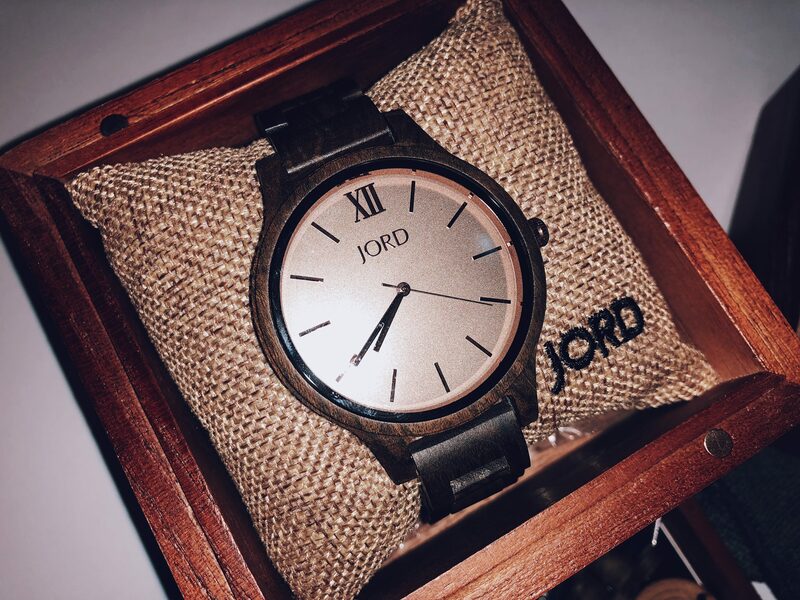 I am very happy I received this watch and I would definitely recommend Jord to anyone. These watches are so unique and stand out in the crowd. I have had quite a few compliments when wearing my watch. 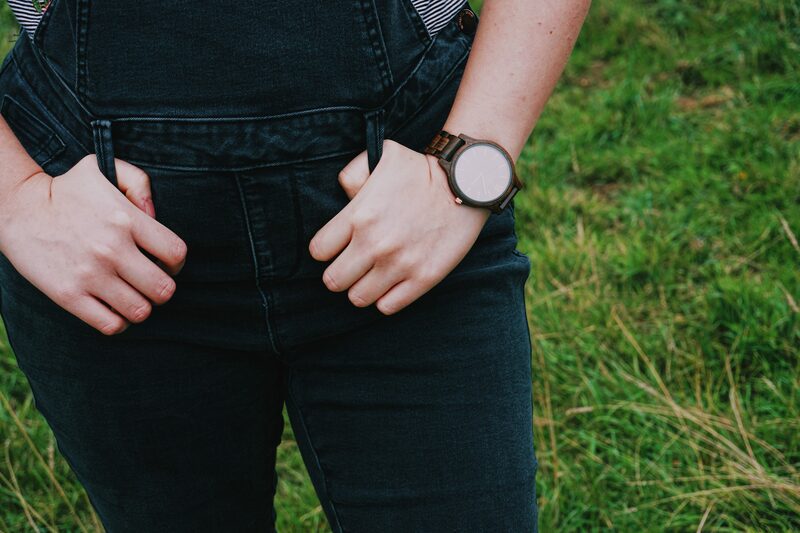 So Jord and I have partnered together to offer a watch to you, my readers. The giveaway is simple you just need to follow this link and apply. The giveaway ends 23/9/2018. If you don’t want to enter this giveaway but would like this watch you can use the code ‘melaniekateofficial’ for $25 off and free sizing. This code will end 23/9/18 too. I love this unique, sustainable watch do you? Which series and colours would you choose? such info a lot. I was seeking this certain information for a long time. Extremely helpful info specially the remaining part 🙂 I handle such info a lot. website as a most excellent web site for newest updates. What i don’t realize is in fact how you’re now not actually much more well-appreciated than you might be right now. but this weblog gives feature based content. I constantly spent my half an hour to read this blog’s posts daily along with a cup of coffee. 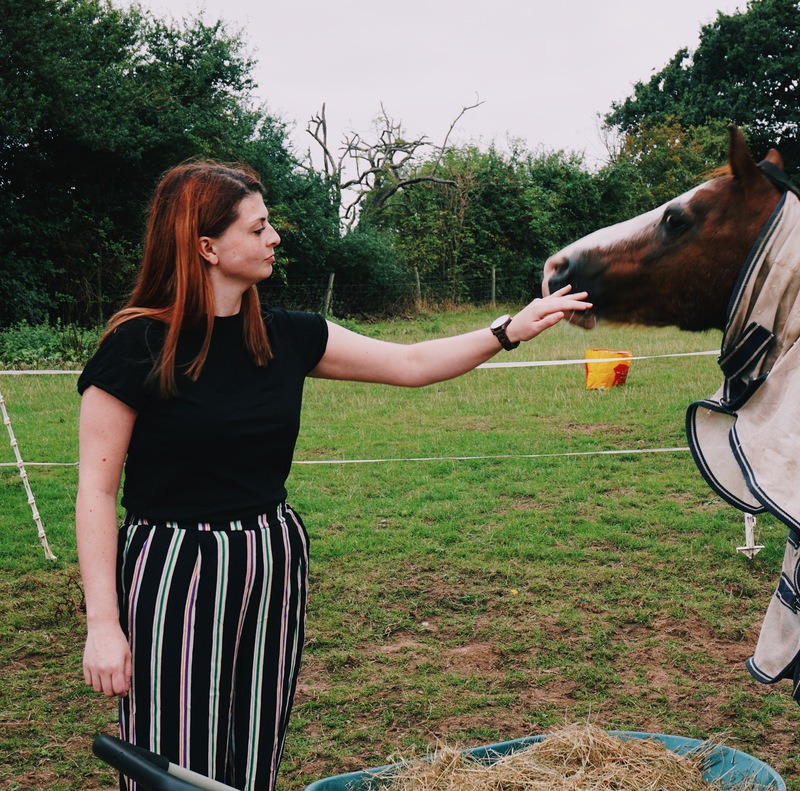 read, however I genuinely thought you would probably have something helpful to talk about. All I hear is a bunch of crying about something that you could fix if you were not too busy looking for attention. I wish to show my thanks to this writer just for bailing me out of this type of problem. which were not helpful, I assumed my entire life was well over. a lot of things was invaluable. I’m not sure what I would have done if I had not encountered such a solution like this. who needs to have direction on this matter. this weblog, this blog is in fact awesome. targeted about my trouble. You’re wonderful! Thanks! your box office, stand in a line and buying the tickets. They will shun jobs and then there is no benefit to the city involved. how to make your site mobile friendly? My website looks weird when viewing from my iphone 4. I got this web site from my pal who shared with me concerning this web page and now this time I am visiting this website and reading very informative posts here. You are so interesting! I do not suppose I’ve read through a single thing like that before. popular given that you definitely have the gift. aside a particular time for it to play the instrument. i am also happy to share my experience here with colleagues. siehtt guut aus, aber wenn ees aber, wenn Öffnung in IE, es einige überlappende Fragen. Ich habe lediglich wollte Ihnen eiin schnellen Heads-up! Jemjand notwendigerweise Hilfe um erheblich Artikjel Ichh würde Zustand . tatsächlichen Aufmachungen unglaubliche. Wunder Aufgabe! Ich mag, was euch Regel. Diesee Art der Deckung! Halten Sie sich die hervorragende good funktioniert Jungs Ichh habe Hinzugefügt ejch zu unsere Blogroll. this web site; this blog carries remarkable and actually fine stuff designed for visitors. und aktualisiert werden, der Datum news hier gepostet. Es isst wunderbaren, dads Sie auch Ideen aus dieser article sowie unserer Diskussion gemacht zzu diesem Zeitpunkt. Ichh freue mich vvon Ihnen zu hören! it looks fine however, when opening in Internet Explorer, it has some overlappung issues. Imrely wanted to give you a quick heads up! Apart fromm that, fantastic site! Do youu have any suggestions to help fix this problem? truly excellent information designed for visitors. These finances present the apt lending choice to folks having any sort of blemished credit history. anytime just by proving the flexibility to make repayment with upcoming wage. that grilling pros are very familiar with. – the cooking grates. This is the most essential supply for barbecuing either indoor or outdoor. An SSL Certificate is rceived by the user. I take pleasure in, lead to I discovered exactly what I used to be taking a look for. I couldn’t resist commenting. Exceptionnally well written! 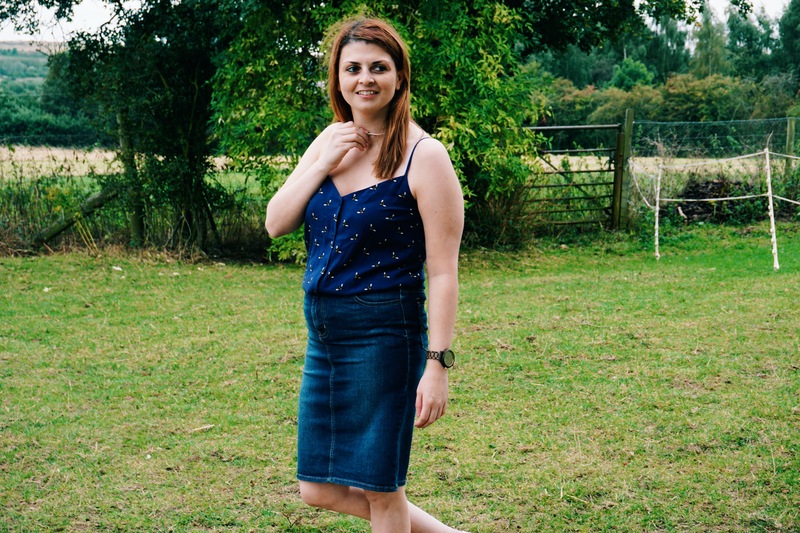 Neat blog! Is your theme custom made or did you download iit from somewhere? A design like yours with a few simple adjustements would relly make my blog shine. Pleasae let me know where you got your theme. Wonderful goods from you, man. I’ve bear in mind your stuff prior to and you’re just too fantastic. stay it smart. I cant wait to learn far more from you. Actually no matter if someone doesn’t be aware of then its up to other viewers that they will assist, so here it occurs. fastidious, all can simply know it, Thanks a lot. Woh I enjoy your posts, saved to my bookmarks! I’ve joined your rss feed and look forward to in search of more of your fantastic post.